Cheap UK Car Insurance – Saving YOU Money! High levels of cover combined with cheap UK car insurance quotes. Click through on the ‘Get a Quote’ button below to compare 2016-2017 motor quotes from over 100 of the leading UK car insurers, and obtain the most suitable fully featured cover and protection you require. The Quotezone click and compare service is entirely free to use. It is a totally independent, secure and impartial UK insurance comparison site, already helping over 1 million drivers to get the best deal and BEAT THAT QUOTE! 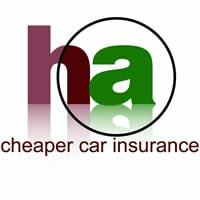 Since 2005 our objective has been to help you find great value cheap car insurance quotes, combined with unbiased practical information for all drivers. Enabling you to compare from well over 100 general and specialist car insurers, providers, intermediaries, and brokers. • Search, compare, and buy online – From an online panel of competitive companies in less than 3 minutes. • Motor wizard – Save time and money using the simple wizard, finding you the right policy at the right price. • Instant cover – Available online or by phone. Provided you have a credit or debit card or the facility to pay by direct debit immediate cover* is available. • Payment by installment – Flexible, pay monthly options available. A Third Party Insurance policy will pay out in the event that your vehicle is stolen or sets on fire. Lowest online premiums for your third party fire and theft young driver cover, women drivers, or modified vehicle quotes. A Comprehensive Car Insurance will pay-out for third party damages and injuries, will pay-out in the event of your vehicle being stolen or set on fire, and will also pay for any damage to your own vehicle (regardless of whose fault the accident was). Best described as an ‘all-risks’ cover for your vehicle. Looking for a year’s cover with cheap car insurance monthly payments? There are a number of UK motor insurers who will provide the ability to pay monthly by direct debit with no deposit. HomeApproved can help you find these Pay Monthly Car Insurance deals! If you are renewing your current policy then you will be aware of the Car Insurance Group number that your vehicle is categorized under. If this is your first foray into this market or perhaps you are a learner driver then a brief explanation of the insurance group ratings system is provided. Know the motor insurer you want to partner for your next policy? We have a growing list of leading UK motor insurers where you can obtain a new comparison quote. Compare these car insurance companies and the cover they offer to see if you could save. *This is subject to normal car insurance UK terms and conditions.